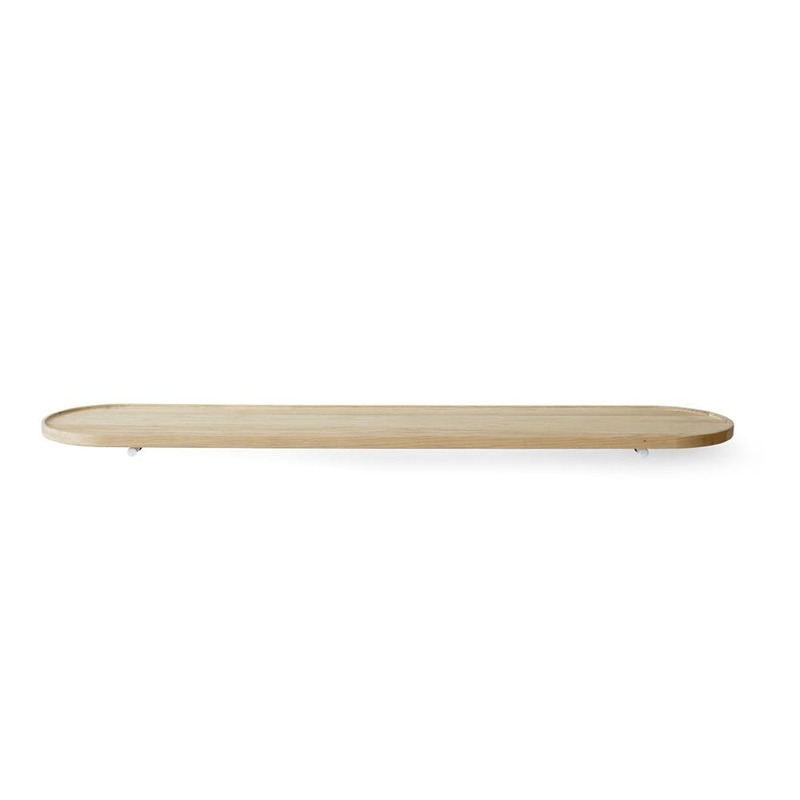 Yeh Wall Tray designed by Kenyon Yeh for Menu is a is a beautiful wall shelf made of natural oak wood. Its ingenious shape offers plenty of storage capacity with minimal use of space. 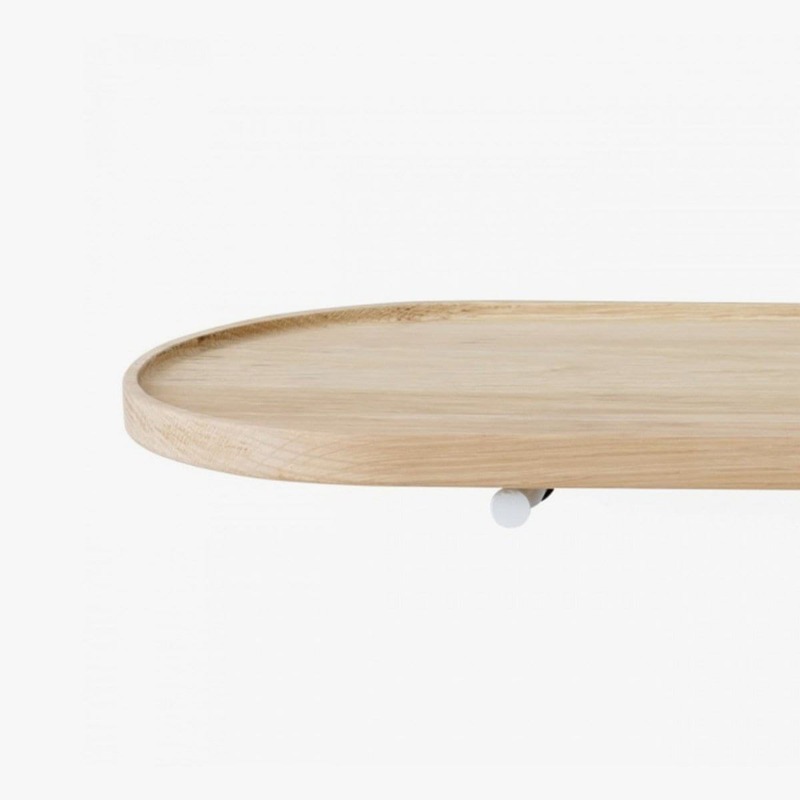 The Yeh Wall Tray is a clever space solution perfect for the modern home. As its name suggests it easily lifts way from the wall mountings to be used as a large tray. 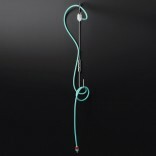 It is detachable from the wall without the use of tools, all that is required is a single motion. So, you can move it around the house and use it as an extra-large serving tray. 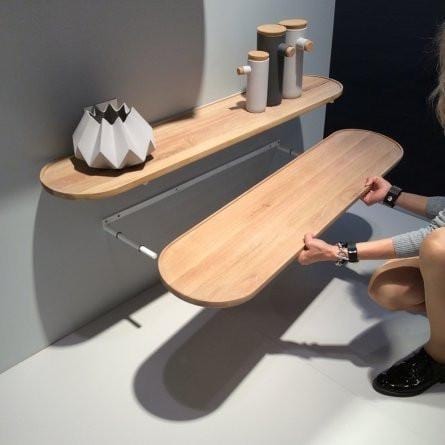 It is an aesthetically pleasing and at the same time very functional piece of furniture. The elegant design incites enthusiasm with rounded edges that give the shelf its extraordinary appearance. The slightly raised edges prevent accessories and objects from sliding down and the items can be placed safely on the shelf, just like on a tray. This simple, but highly practical wall shelf can by used in many ways. Vases, books and other accessories can be placed on the narrow and long shelf, while the smooth oak wood gives it a natural look so that it can easily be integrated into any setting without seeming intrusive or cluttered. Dimensions: Depth: 25 cm, Length: 116 cm. Weight 4.25 kg (without packaging). Special features: Detachable without tools.